Two of Las Vegas' premiere writers were honored at LAVO last night at our 2nd Annual Media Circus event, Jack Colton and Xania Woodman. 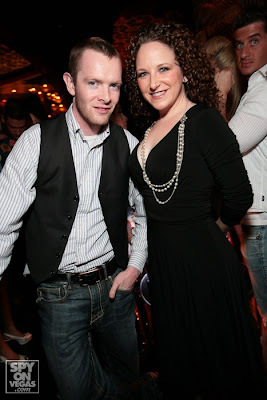 I met the 2 artistic geniuses at LAVO for a fab dinner with a few friends. Xania and I gabbed about just about EVERYTHING you can think of, catching up with her is always fun. Afterwards we hit the club where we sat next to the crew from TAO, good times!